NOTE: I found the first 1min 50 seconds annoying but when Dwight started singing it was great. 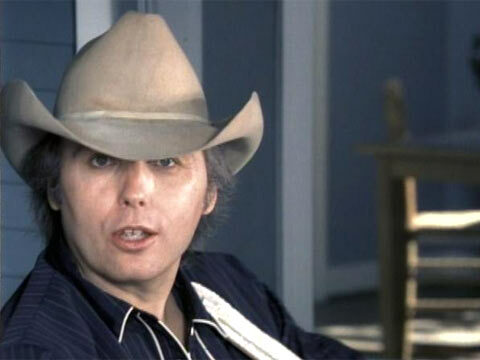 Few entertainers have attained the iconic status of Dwight Yoakam. Perhaps that is because so few have consistently and repeatedly met the high standard of excellence delivered by the Kentucky native no matter what his endeavor. His name immediately conjures up compelling, provocative images: A pale cowboy hat with the brim pulled low; poured-on blue jeans; intricate, catchy melodies paired with poignant, brilliant lyrics that mesmerize with their indelible imprint. Then there’s Yoakam the actor, who seemingly melts into his roles, impressively standing toe-to-toe with some of the world’s top thespians: Jodie Foster, Tommy Lee Jones, Forest Whitaker, Nicholas Cage. Add to that Yoakam the entrepreneur and you have a singular talent without peer. Yoakam’s latest Warner Bros. album, 3 Pears, exemplifies his ability to incorporate multiple, competing influences into a piece of cohesive art. It balances his country core with a fiercely independent embrace of rock, Americana, pop and soul. It blends Yoakam’s respect for his musical predecessors with the collaborative assistance of modern singer/songwriter Beck, who co-produced two tracks, and current rocker Kid Rock, who co-wrote the hooky opener, “Take Hold Of My Hand.” But most importantly, 3 Pears builds on his trademark edginess with a notable, growing positivity.